‘A face like yours’ brings together paintings, installation and video work by Jack Bodimeade, Xenia Bond, Lewis Henderson, Jamie Jacob, Tash Mok, Francesca Mollett and Felix Treadwell. 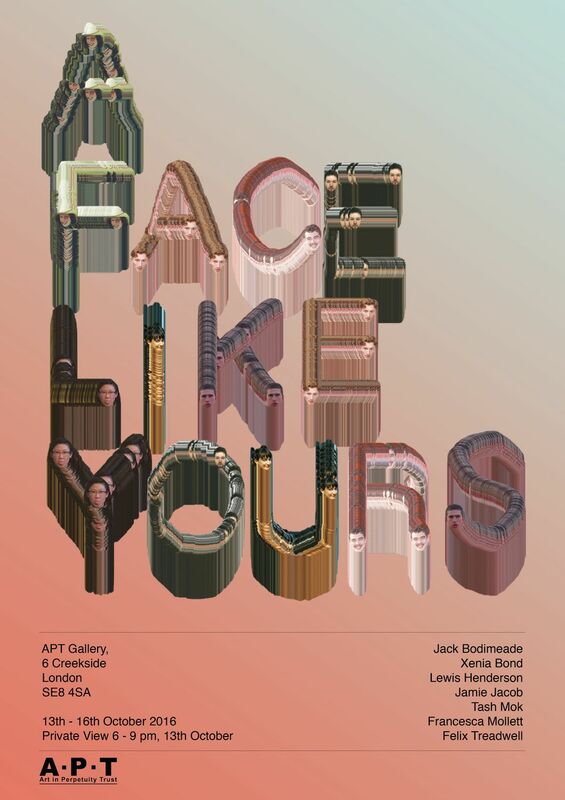 ‘A face like yours’ brings together paintings, installation and video work by Jack Bodimeade, Xenia Bond, Lewis Henderson, Jamie Jacob, Tash Mok, Francesca Mollett and Felix Treadwell, whose works explore everyday objects, spaces and gestures. The work shown is primarily based on intimate observations of the contemporary world, seeking out connections between the experience of a moment and the beauty of human contradictions.